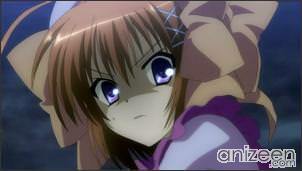 Ayumu Aikawa is a zombie who was brought to life by the necromancer Eucliwood Hellscythe after being killed by a serial killer. A month since then, Eucliwood has been living with Ayumu as he continues to search for his killer. 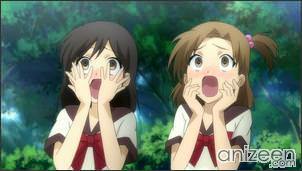 While searching a graveyard, Ayumu encounters a chainsaw-wielding ‘masou-shoujo’ named Haruna. She is fighting a giant demon bear, actually, she is beating him badly, in the end she cuts through him to defeat it. 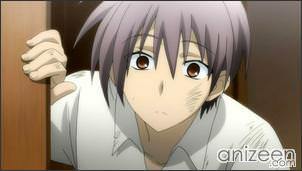 Haruna attempts to erase Ayumu’s memories afterwards, but his zombie nature ends up cancelling out her magic. 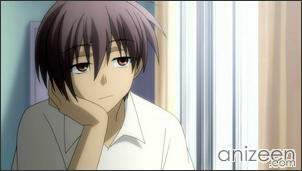 Haruna decides to stay at Ayumu’s house until this inconvenience is solved. On the next day, Ayumu is approached by a crayfish-like demon known as a Megalo. 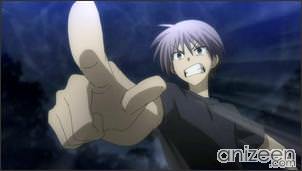 Haruna arrives but is unable to summon her magic, so Ayumu uses his zombie strength to pummel the Megalo. This is where everything gets strange and interesting. 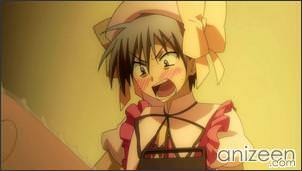 Ayumu discovers that he can use Ayumu’s magic to transform into a masou-shoujo, costume and all, to finish him off. Of course, with such power, instant humiliation comes and his classmates take advantage of it. Now, Ayumu is kindly informed by Haruna that he is going to fight the Megalos in her place. 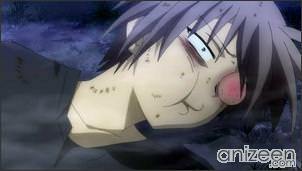 Ayumu Aikawa is a high school boy who was killed by a serial killer and ressurected as a zombie by the necromancer, Eucliwood Hellscythe. As a zombie, he is invincible and can exceed the limits of the human body, giving him great physical strength. However, he still feels pain, but gets over it very quickly, and will also dry out in the sunlight. His body is also weak against fire and tends to break down if used to its utmost limit. Haruna is a self-proclaimed ‘masou-shoujo’, or a magically ornamented girl, who wields a chainsaw named Mystletainn and battles demons known as Megalos. She can also use her magic to repair damage caused from her battles and erase people’s memories. She was originally ordered by her teacher, Dai-sensei, to go to Kyoto to get some tofu, but she ended up in Tokyo instead. 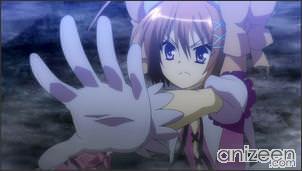 After first encountering Ayumu following a fight with a demon, her magical powers are somehow absorbed by him. Eucliwood Hellscythe, called “Yu” for short, is a necromancer who brought Ayumu back to life to be her guard and has been living with him since. 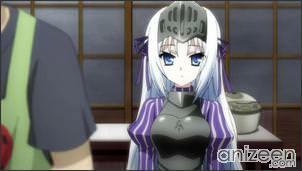 Her magic is so powerful that she has to wear heavy armor and suppress her emotions in order to control it. She also would not speak, since her words also carry powerful magic with them, and instead communicates through written notes, mostly pertaining to her appetite. 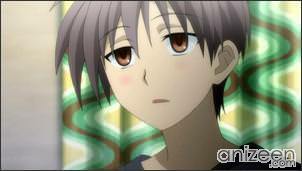 It is shown that she does care about Ayumu even though she considers him to be her servant, therefore she may have feelings for Ayumu, but cannot express them currently. Kore wa Zombie Desu ka? (これはゾンビですか?) is a Japanese light novel series by Shinichi Kimura, with illustrations by Kobuichi and Muririn. 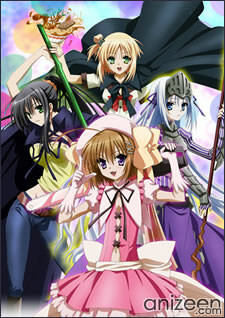 The series’ title is officially abbreviated as Korezom (これゾン). As of October 2010, six volumes have been published by Fujimi Shobo under their Fujimi Fantasia Bunko label. 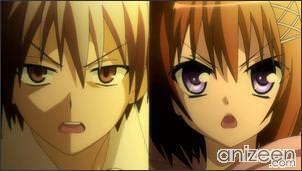 There are currently three different manga adaptations based on the universe of Kore wa Zombie Desu ka? being serialized. 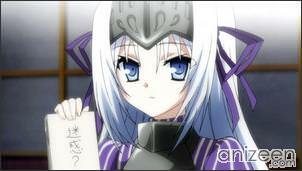 An anime adaptation produced by Studio Deen began airing in Japan from January 11, 2011. The most anticipated new anime for me this season (aside from Freezing). It’s quite entertaining as I expected so far.